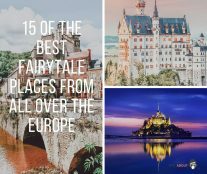 The food is outstanding, the people welcoming and the country itself is as beautiful as it is diverse. 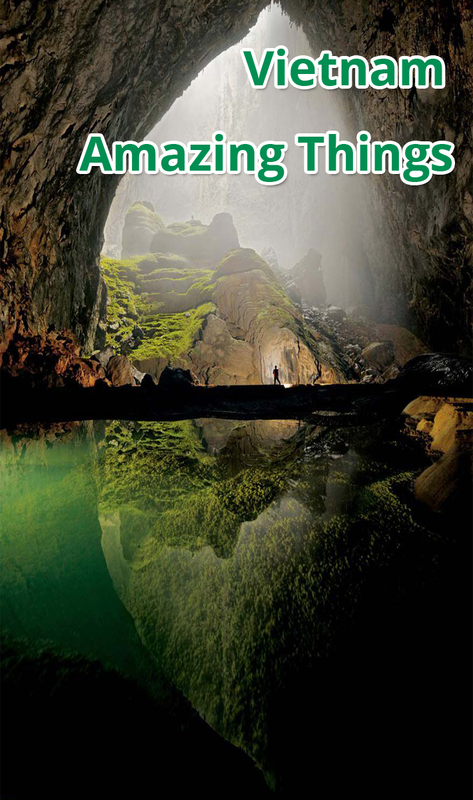 From trekking with the Hmong in Sapa, to abseiling down waterfalls in Dalat and admiring all the colourful lanterns in Hoi An there are an innumerable amount of incredible experiences and unique things to do in Vietnam. 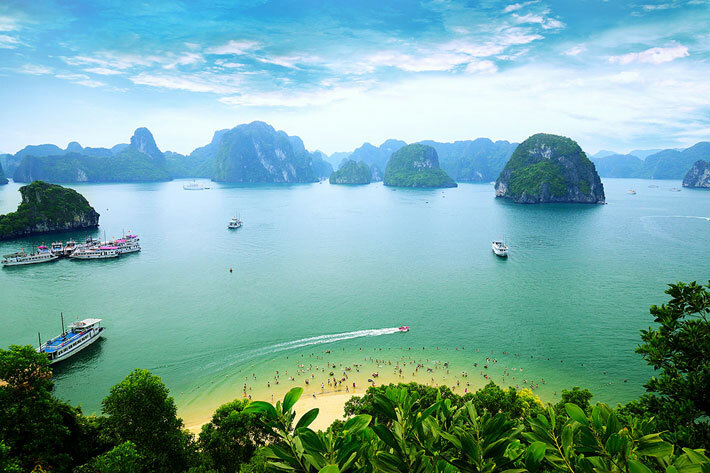 Everything in Vietnam is so cheap that is makes it an ideal destination for budget travel, and the mix of cultures creates some wonderful architecture and amazing food. 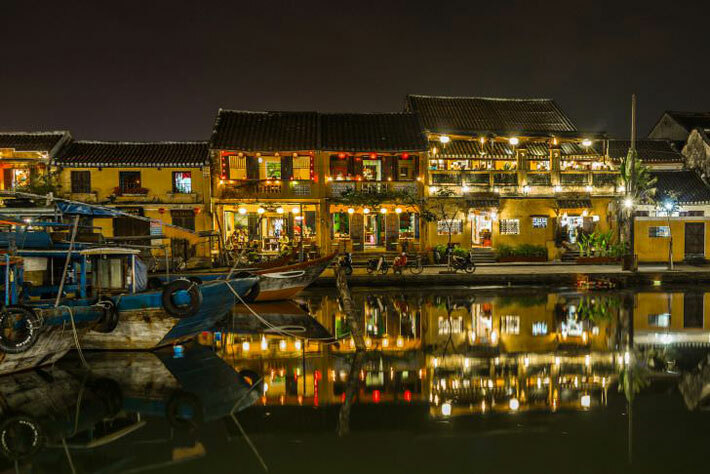 Hoi An is a UNESCO heritage site that is perched on the edge of the Thu Bon river. The old town is car free and full of old alleyways to wander around and explore. On the 14th of every month, the town turns off all the electricity for the evening and holds a lantern festival. It feels like you’ve gone back in time. You can participate by setting your own candle-lit lantern free in the river and watching the light sail on down the river with hundreds of others. Hoi An is also a haven for foodies and a great place to try out a Vietnamese cooking school. Try the Red Bridge cooking school for its tour of the market and boat ride down the river to the hidden away little cooking school. 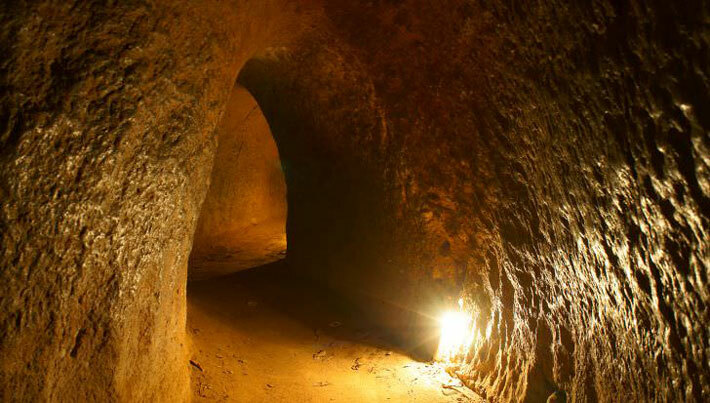 The Cu Chi tunnels were used by the VietCong during the Vietnam war. The resistant forces lived in the tiny underground spaces hidden for miles underneath the forest floor. 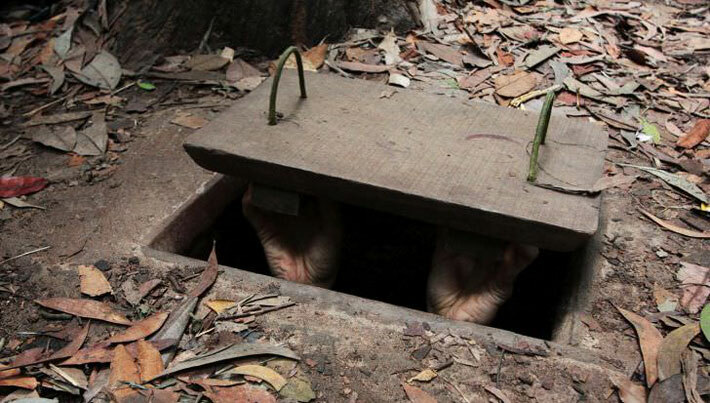 The brutal-looking booby traps are a must-see, and fitting your body through the little tunnels is certainly an experience. After looking through the tunnels, there is the option to shoot an M16 or AK47. Why not, right? The guides will also offer you some of the traditional food that was eaten during the war, such as tapioca. Hanoi is home to the well known Thang long water puppet theatre. The show is something uniquely Vietnamese and interesting for young and old. 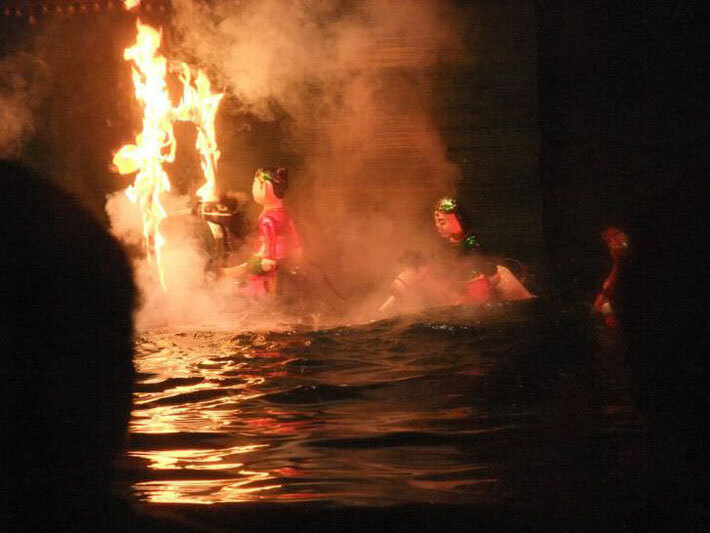 The puppets tell the stories of Vietnam on a stage that is a large pool of water. Traditional Vietnamese music adds to the effect, and the show is quite captivating. The wooden puppets seem to float and dance on the water as they share the history of Vietnam with the viewers. The show lasts around an hour, so afterwards, check out Hoan Kiem lake and its bright red bridge. 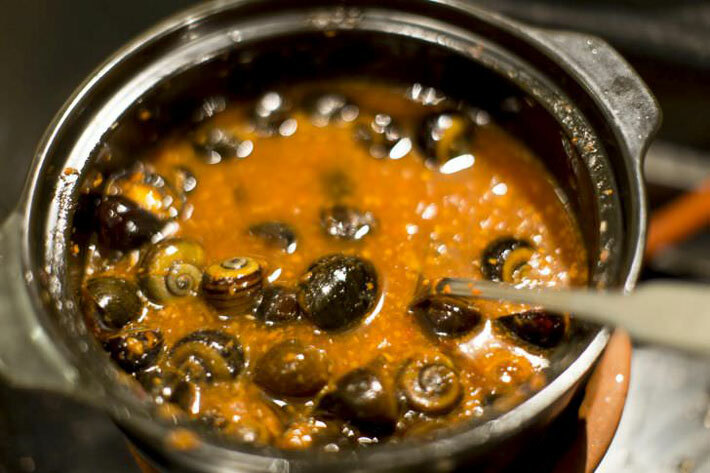 Traditionally a French cuisine, the Vietnamese do their snail eating a little differently. 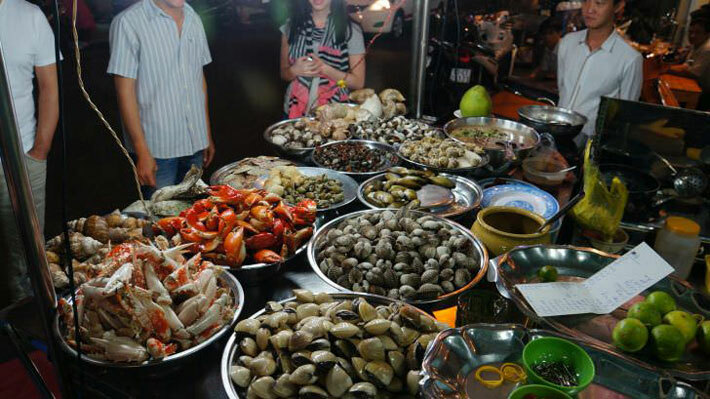 Wander the streets until you find a road side qan ô ‘c or snail eatery. They are really popular so they won’t be hard to find. Pull up a crate, or a stool if you are lucky, order a beer and a bowl of snails and you’re set. The snails aren’t garden snails. They’re little water snails from the sea or river so they are more like eating cockles or small clams. They are much tastier than they sound and worth it for the unique experience. 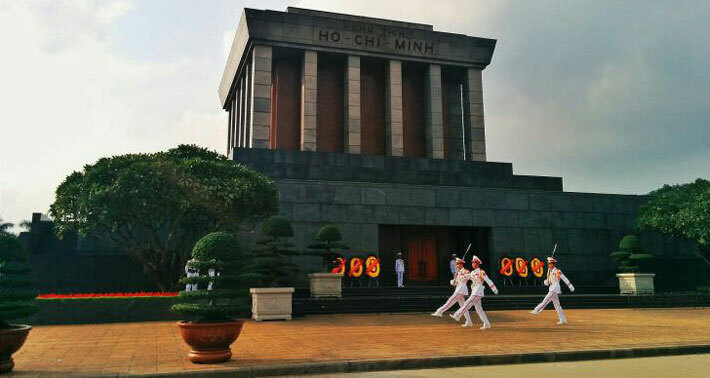 Although very sobering, the War Remnants Museum is something everyone that visits Ho Chi Minh should do. The outdoor is filled with an amazing amount of military vehicles. 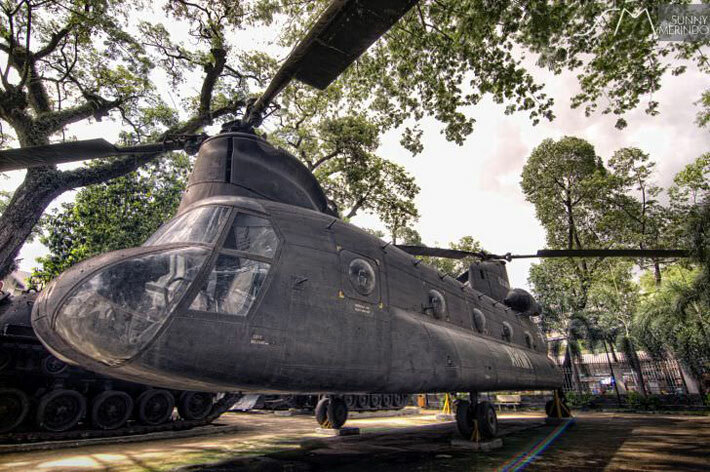 Airplanes, tanks, helicopters and big guns cover the entire courtyard. The size of some of them is unbelievable. Inside, head upstairs and see the story of the people affected by the war. The graphic imagery is pretty raw but you learn a lot about the country and its history. 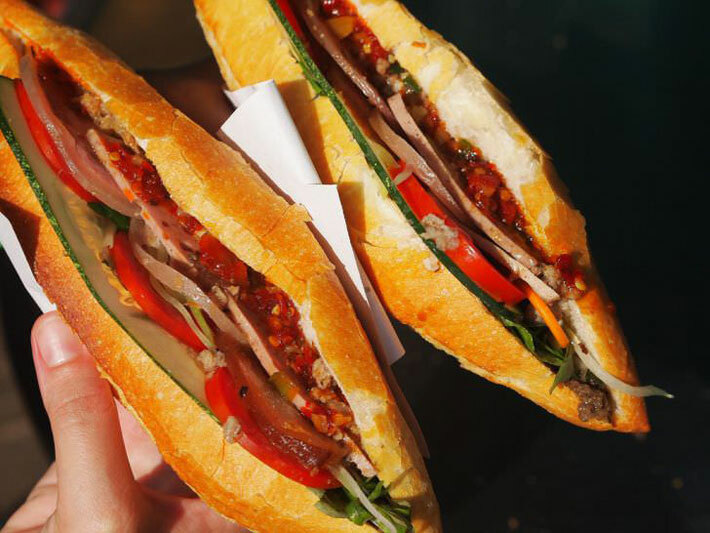 A fusion of French and Vietnamese food, the Banh Mi is a crunchy baguette filled with all sorts of mouth watering morsels. 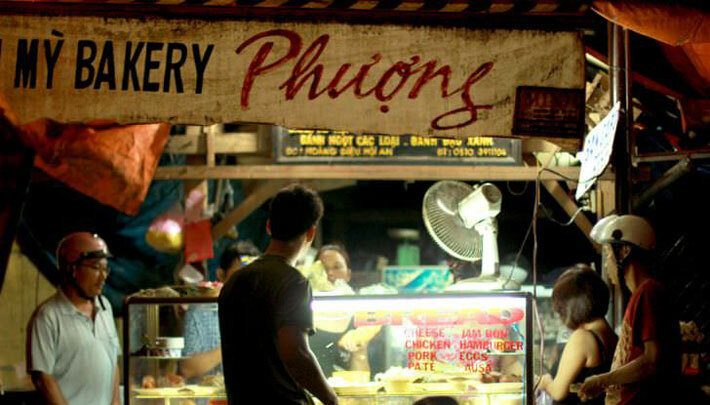 Banh Mi Phuong — the most famous Banh Mi — is found tucked away in the markets of Hoi An. Anthony Bourdain even tried this stall out on an episode of No Reservations. These bread rolls are the not only the best cure for a hangover, but they are also very affordable (they only cost a dollar!). Combine your banh mi with a bia hoi or beer and you’ve got yourself a brilliant two dollar lunch endorsed by a top chef. 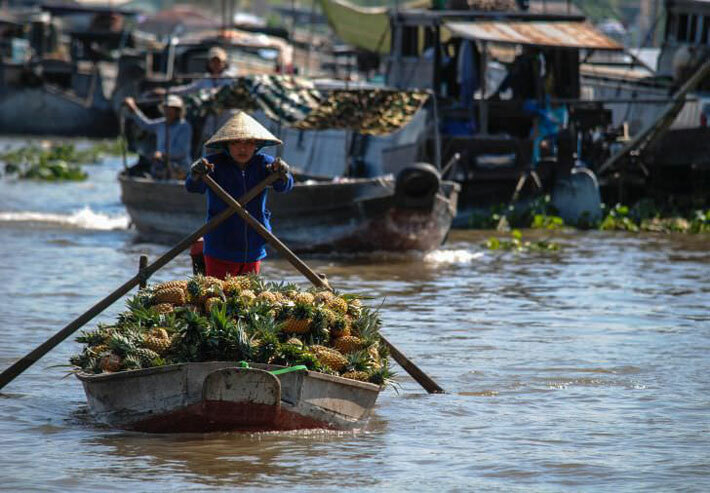 Set sail on the Mekong Delta and spend a morning at the floating markets. 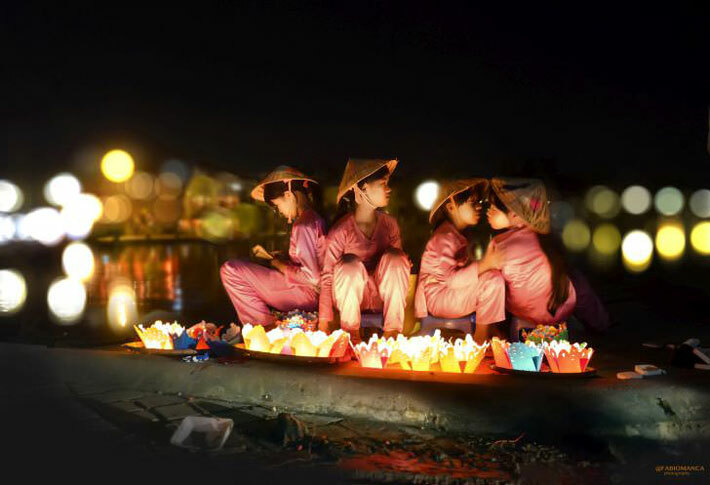 The largest of the floating markets in Vietnam is the Cai Rang floating market. It starts at the crack of dawn and finishes by lunch time, so you’re going to have to get up early to enjoy this one. 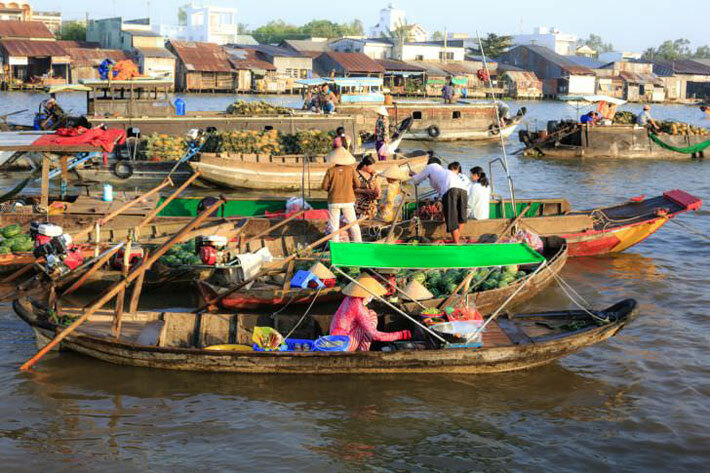 To get there, you can do an overnight trip on the river from Ho Chi Minh or head out on a tour from Can Tho, which is the nearest town to the market. You can find pretty much anything at these floating markets. Just sit back and let your captain sail you through the hordes of boats until you spot something that catches your eye. 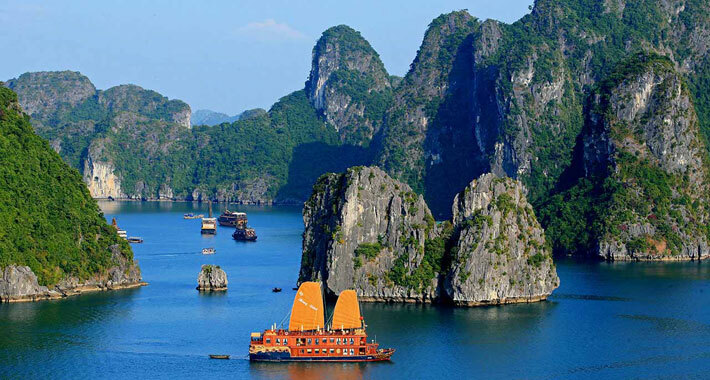 Sail around Ha Long Bay and explore the natural beauty of this UNESCO heritage site. Hidden among the imposing rocky cliffs are secret beaches and caves that are waiting to be explored. 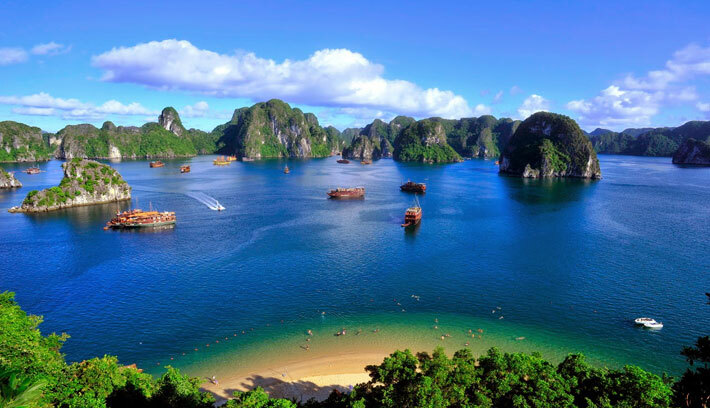 Ha Long Bay in Quảng Ninh Province, Vietnam. 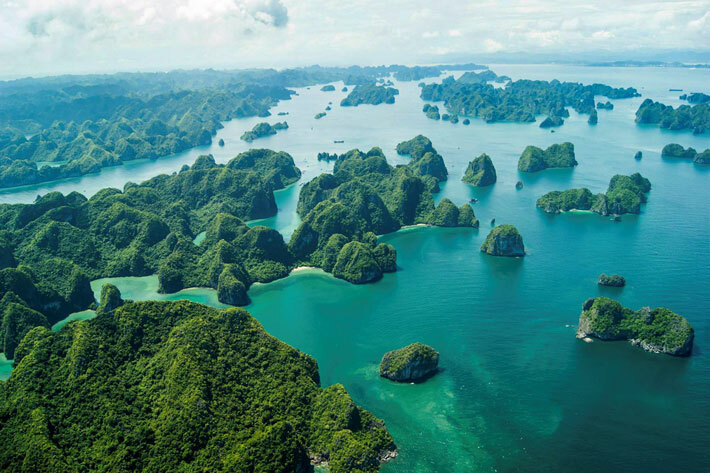 Kayak, snorkel and swim in the emerald water or explore the floating market boats that litter the bay. When choosing a boat tour, make sure you do your research as quality varies hugely and you definitely get what you pay for.